Therefore, my humble opinion is that free will exists as an illusion only, because everything happens exactly the way that it is fated to happen in a universe where EVERYTHING happens for a reason. Or more likely multiple, even infinite, possible reasons, none to which I am privy ahead of time…by design. Indeed it would be folly for me to expect to ever have prior knowledge of why things happen as they do. What I am given, instead, is the opportunity to discern and comprehend the possible reasons…only after the events occur…as it is for the jury in a courtroom. It does not matter how it could have been, because it was not that way…it was the way that it was. From that vantage point, it occurs to me that my “choices” are actually intuitively-based notions of what I perceive to be right and wrong. However, those notions need not include the fear of making a “wrong” choice, since whatever happens is not really right or wrong…it just is what happens…AND, when fate is “part of the equation,” what happens is what is supposed to happen, no need for second-guessing that point. It seems to me that this would be an ideal design for helping an immature consciousness learn about the power of free will, before actually getting to use that power. Metaphorically, it is like our existence is a simulation designed to assist us in learning why choosing good over evil is so important, once free will is available…which only actually occurs once our consciousness has reached a certain level of maturity and comprehension. In this metaphor, it is this very system, indeed, that is ultimately used against us, by The Wetikó, to keep us from ever reaching that Divine level of maturity. Powerful paradox! 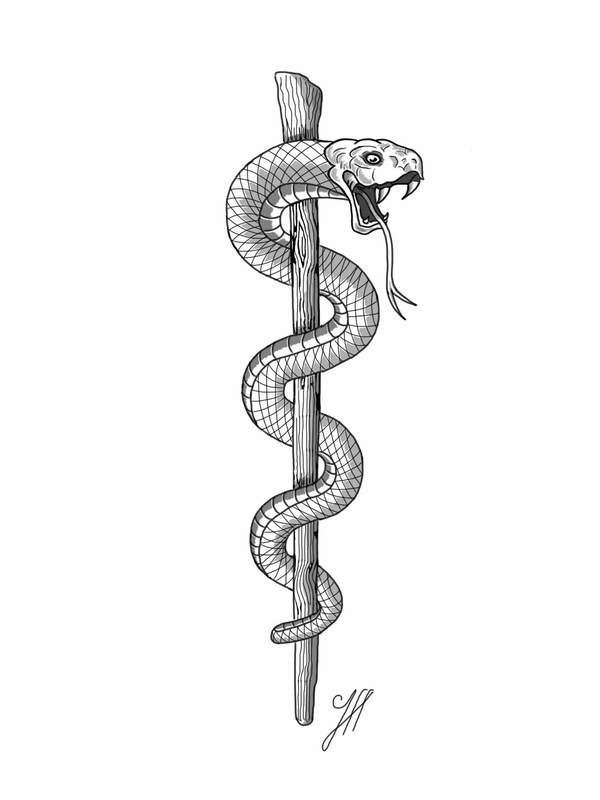 Now…while that is more-than-just-a-little-bit for my “tiny” brain to “chew on”…what really “bakes my noodle,” is what I have learned over the past few years regarding contemporary scientific findings in support of fate! So, if we could…at least momentarily…allow for fate, then the past happened exactly the way that it was supposed to happen…regardless of whose perspective I choose to consider…the truth is the truth…it does not depend upon what I believe happened or what I wanted to have happen. As we begin to discuss some of the most challenging “truths,” what happened on 9/11 for instance…as human beings, without the benefit of Divine knowledge…it is important for me to express that, at best, in truth we find lies and amongst lies we find the truth. But don’t worry! As “Footprints” shows us, whatever perspective we chose to embrace, the end of the story is going to be a happy one. No matter what happens, its going to be ok…God’s got our back! So look with me, but please do not be afraid of what you will see…see beyond the fear of the unknown…because I’m standing out there in what used to be the unknown for me too and I’m ok…so you will be as well, when you decide to expand what is known for you! And, of course, ALWAYS do your OWN research and decide for yourself what you want to believe. Perhaps the very best thing about science, as you will find out about more in the second episode, is that when the Scientific Method is precisely followed, there is only ever ONE correct answer for every question. Science ignores opinion and emotion…it just shows us what actually is. When I decided to look at 9/11 and use the Scientific Method, I became fearful of my own logic…and that knocked me down. However, what was “the truth” became what lay under my feet, as I stood again and looked upon a knowledge more powerful than any I had ever known…it was then that the Divinity of Science was forever confirmed in my soul. Science was given to us by our Creator…as assuredly as everything else ever discovered/created/contemplated/supposed by any human mind across all of our collective existence in this universe. It was given to us so that we can each be offered the opportunity to teach ourselves to be free! No one can do it for us. For this and other reasons, therefore, science is one of the primary tools that NAME! uses to reveal The Wetikó. It turns out that there are so many fascinating ways to…scientifically…discuss 9/11, that it quickly becomes an embarrassing conversation for most intelligent adults…simply because they have not done the research…and I have. But, before we discuss how humility can lead to shame, let us consider how that same humility can lead to feeling awestruck…and inspired…and connected to something far greater than ourselves. In my experience, these feelings lead me to a humble state because I realize that being connected in such deep and powerful ways, to each other and to God, can only be a good thing. It has allowed me to consider why the “terrible” things happen…and the good that might come from that understanding. There is a compellingly…conveniently…congruent area of research that has found it’s “poster-child datapoint” in the aftermath of that FATEFUL day in 2001. All thanks to the ongoing observations of our wonderful “creation”…the computer. Scientists have been studying “meta”-data (From the Greek prefix meta- meaning “beyond” or “after”), collected over several decades, using computers to perform the equivalent of a human “flipping a coin” over and over again…really fast…to study chance. They have set up these REG (Random Event Generator) devices in several dozen cities around the world and have been comparing the results across devices and across time. In short and in support of fate, on 9/11 in particular, and now so-many-other analyzed events over the past 50 years that the odds are over a-million-to-one against chance, the REG data support a perspective that when all of us simultaneously find out about a good or bad thing happening in the world, our collective, emotionally-based, empathic response actually changes the magnetism of the planet-wide environment and, as a result of this change, the REG devices stop behaving “randomly.” An order appears in the data that, scientifically, is fundamentally impossible in a orderless universe. The basis for these planet-wide changes comes from the powerful magnetic field that surrounds each of our bodies. 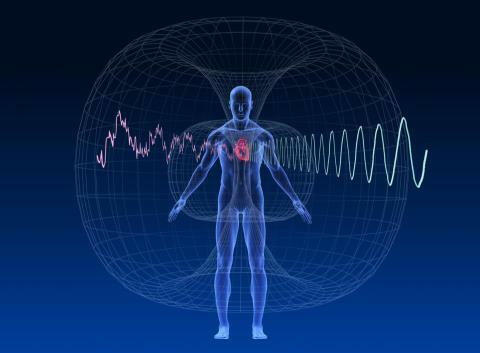 These fields are generated by the beating of our hearts and have been studied throughout human history. It has now been shown, scientifically, that there are even nerve cells, or neurons, in our brains designed to detect fluctuations in the fields of those around us. Both fields, man and planet, have the same fundamental structure…just on a, fractally, larger scale for the planet. (Fractals, incidentally, are just about the coolest scientific discovery that almost no one really knows that they’ve always known about…and didn’t know it! Fractals are discussed in Episode Three, Part 2). Researchers spiraled in for a closer look at this fascinating phenomena of human physiology and conducted detailed studies of the spaces between heartbeats, called interstitial beats. 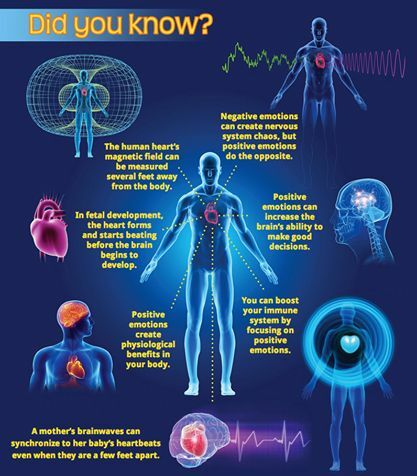 This amazing research revealed that our current emotional state is encoded within each and every heartbeat and, further, that this emotional information is transmitted outside of our physical body in the magnetic, “Mer-ka-ba,” field generated by the heart. 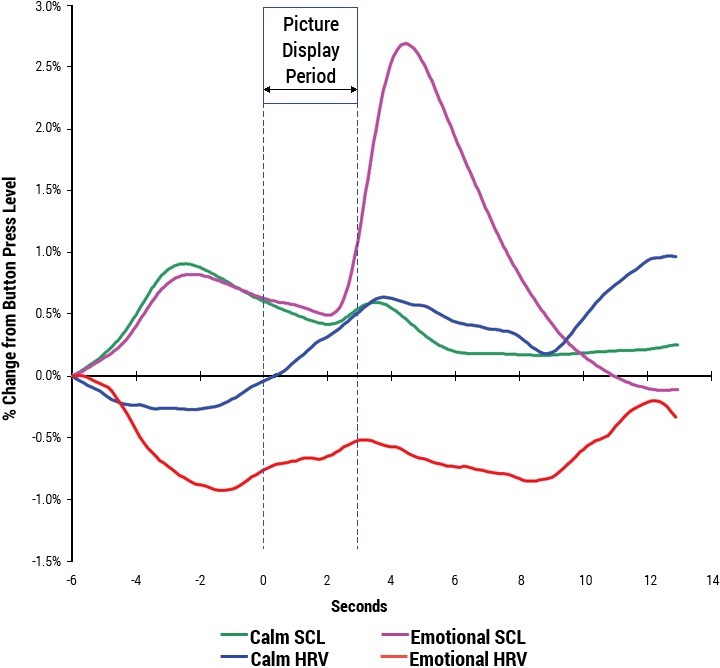 As I mentioned above, even more incredibly, they found that on a subconscious level, our brains are able to detect and determine if these signals, coming from others, are emotionally positive or negative. They are so fundamental in nature…in fact…that even microscopic bacteria, like those found in our yogurt, can detect and react to changes in these fields. Paradoxically, this data also gives us undeniable scientific proof of far deeper connections existing between us and our planet. Even more, it points the proverbial finger towards, yet to be discovered, levels of consciousness that can allow us to be intensely hopeful for the ability of our species to learn new and powerful ways to intimately connect to one another in the future. For these and other reasons, 9/11 continues to play a central role in my journey. However, when we spiral back down to the level of a single human experience, the data are far more mind-boggling and exciting in their powerful support of fate. As it turns out, not only can we collectively interact with our external environment, in “real-time” and on a planet-wide scale, but our hearts and subconscious minds appear to have the ability to “tune in” to future events. The research paradigms are specifically designed to ensure that there is no way for the human participant to, consciously, “guess” or “know” what is about to happen. 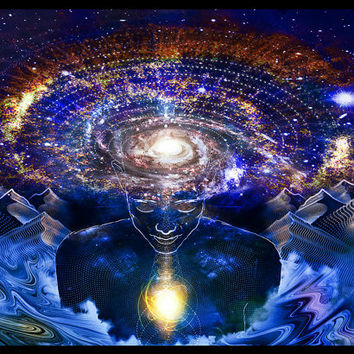 The results indicate an undeniable, and ever-present, interwoven relationship between the consciousness of the individual and the “external” reality within which each consciousness exists. This isn’t necessarily interesting in terms of being able to predict or actually do anything about the upcoming future event, per se, considering it is only a few seconds away from occurring. What is truly fascinating to me about these results, though, is how they appear to support a fate-based reality. Our hearts and subconscious minds are not only, somehow, tuned into what is about to happen, but as a result of that tuning, they prepare the conscious mind, through electrical signals and chemical cascades, to have a very limited perspective from which to respond/“choose,” for any given situation. 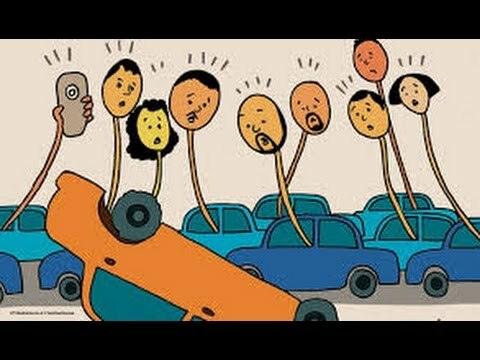 To me, what happens during “rubber-necking,” is illustrative of how our heart and subconscious processes prepare our active consciousness to submit to what is about to occur when we…inevitably…turn our heads to look. (I now like to think about how we each are contributing a little positive energy, from our Mer-Ka-Ba fields, and love to those suffering individuals. After all, do we not feel sorrow for those people as we indulge our selfish, uncontrollable desire to look? Isn’t that the next thought/feeling/observation that comes to the mind once we look? Sadness for the person in pain and a powerful expression of empathetic energy for them? Followed quickly by the relieving thought, “Thank God that isn’t me!”…and then the regret for feeling that way?) Where there is paradox…there is power. According to these awe-inspiring experiments, my heart and subconscious mind are reacting to that upcoming image by preparing my neuronal (electrical) and endorphin/neurotransmitter/hormonal (chemical) systems, all of which are completely subconscious, such that my conscious mind will experience the event in a very specific way…so that, to me, it feels like I’m the one making the choices…when, in reality, I’m really more like a passive observer, as if I were watching myself on television. Now, without a decent understanding of human physiology, the proper use of the Scientific Method and how following its simple steps will elucidate results such as these, this data may start to feel a little overwhelming to the frontal lobes of the brain…even for an accomplished scientist. He who can no longer pause to wonder and stand rapt in awe, is as good as dead.